Peterson Hyde Park in a Savinelli 311 Oceano. It's the smoking equivalent of comfort food. Park Square in a Boswell. PA soft vanilla while waiting for the cigar store to open. What do you think of the Parson's Blend? Love it, I got it a few months ago and enjoyed it but after a couple months on the shelf it went from good to great for me. 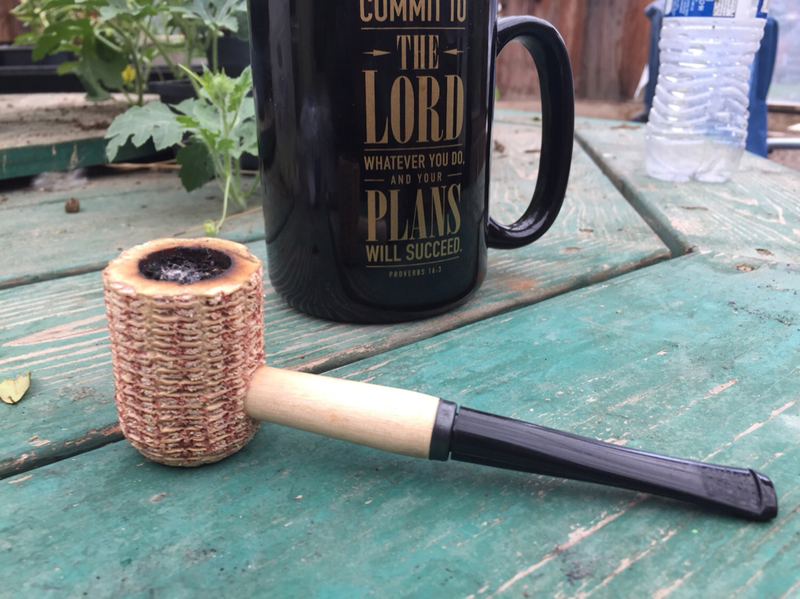 Maybe it’s just the fact that I’m smoking Parson’s blend in a churchwarden on Sunday afternoon. White Rose in a Briarworks C111. Santa Fe Mule Skinner, from a 2017 box pass. In a Larsen billiard. It's got sort of a Lakeland flowery essence. I sure hope it doesnt ghost this pipe too much. Hey. I used to have a whole bunch of that blend! I read that it is blended by Gawith Hoggarth. Yes, indeed it is, and it has that GH Lakeland taste to it - not that it bothers me! 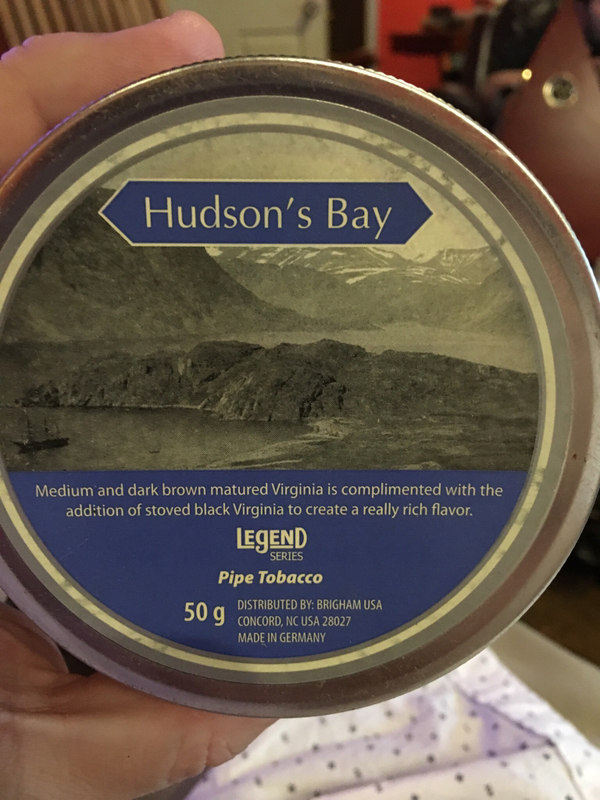 I just smoked a bowl of Peterson Irish Oak in my new Peterson 106 Irish Harp, and I'm pretty much decided now that I need to offload about 2oz of Irish Oak, along with most of what was 2 oz of C&D Habana Daydream, and 3 sealed tins of Squadron Leader with Perique. When I bought all these I was still experimenting to determine what I like, and I'm realizing that perique is just not my thing. The only blends that I've smoked that include perique that I've enjoyed are Nightcap and Elizabethan. Nightcap is overrated IMO, but the perique isn't too bothersome, as it's light, and it's buried in the mix. Elizabethan, I can't explain - it just doesn't bite me like other VaPers do. I'm learning that I'm more of an English & VaBur guy than anything else. I just had to roll the dice and lose on a few blends in the process of figuring this out. I guess it's all a part of the game, having only been doing this for 6 months. 1Q in a basket Italian. C & D Tranquility (by William Serad) in my Viprati Cortecchia Canadian. Park Square in a Peterson canadian. 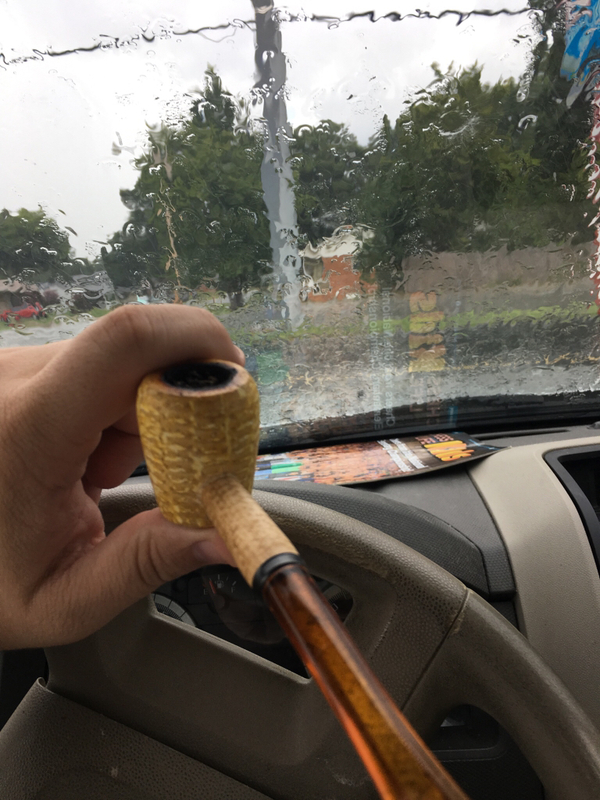 Back to back bowls of Mac Baren's Navy Flake courtesy of Bloudhood in the Pietenpauw.